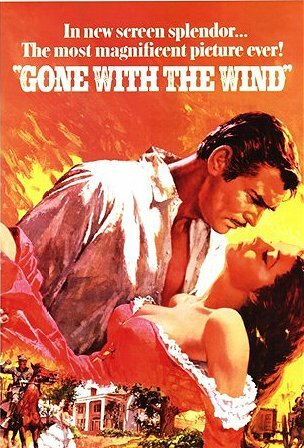 epic romance Gone with the Wind, recieved its premiere at Loew’s Grand Theatre in Atlanta, Georgia, United States ON December 15 1939. Based on the Pulitzer Prizewinning novel written by Margaret Mitchell, it is set in Clayton County, Georgia, and Atlanta during the American Civil War (1861–1865) and the Reconstruction Era (1865–1877) that followwhere the war. 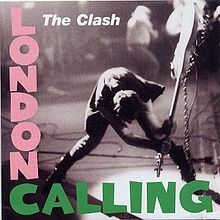 iT unfolds against the backdrop of rebellion wherein seven southern states, Georgia among them, have declared their secession from the United States (the “Union”) and formed the Confederate States of America (the “Confederacy”), after Abraham Lincoln was elected president. A dispute over states’ rights has arisen involving enslaved African people who were the source of manual labor on cotton plantations throughout the South. The story opens in April 1861 at the “Tara” plantation, which is owned by a wealthy Irish immigrant family, the O’Haras including their sixteen-year-old daughter Scarlett O’Hara, on the day before the men are called to war. Miss Scarlett learns that Ashley Wilkes, is soon to be engaged to his cousin, Melanie Hamilton and informs Ashley she loves him and Ashley admits he cares for her. However he refuses her marriage proposal as he knows he would not be happily married to Scarlett because of their personality differences. Then Scarlett meets local rogue Rhett Butler alone in the library.Scarltt learns that war has been declared and the men are going to enlist. Seeking revenge for being jilted by Ashley, Scarlett accepts a proposal of marriage from Melanie’s brother, Charles Hamilton. They marry two weeks later. Charles dies from measles two months after the war begins. Scarlett is pregnant with her first child. A widow at merely sixteen, she gives birth to a boy, Wade Hampton Hamilton, named after his father’s general. As a widow, she is bound by tradition to wear black and avoid conversation with young men. Scarlett is despondent as a result of the restrictions placed upon her. Melanie, who is living in Atlanta invites Scarlett to live with them. In Atlanta, Scarlett’ begins Work at the hospital for the Confederate army & encounters Rhett Butler again at a dance for the Confederacy. The men must bid for a dance with a lady and Rhett bids “one hundred fifty dollars-in gold.” for a dance with Scarlett. Everyone at the dance is shocked that Rhett would bid for Scarlett, the widow still dressed in black. Melanie smooths things over by coming to Rhett’s defense because he is generously supporting the Confederate cause for which her husband, Ashley, is fighting. Ashley is granted some land by the army and returns to Atlanta to be with Melanie. The war is going badly for the Confederacy. Atlanta is under siege (September 1864), “hemmed in on three sides,” it descends into a desperate state while hundreds of wounded Confederate soldiers lie dying or dead in the city. Melanie goes into labour with only the inexperienced Scarlett to assist, as all the doctors are busy attending the soldiers. In the chaos, Scarlett, left to fend for herself, cries for the comfort and safety of her mother and Tara. The tattered Confederate States Army sets Atlanta ablaze as they abandon it to the Union Army. Melanie gives birth to a boy named “Beau”, and now they must hurry for refuge. Scarlett , Melanie, Beau, and Prissy try and make for Tara. Rhett steals an emaciated horse and a small wagon, and they follow the retreating army out of Atlanta.Part way to Tara, Rhett abandons Scarlett to enlist in the army. Scarlett makes her way to Tara without him where Gerald has lost his mind, Scarlett’s mother is dead, her sisters are sick with typhoid fever, the field slaves left after Emancipation, the Yankees have burned all the cotton and there is no food in the house.The long tiring struggle for post-war survival begins that has Scarlett working in the fields. d at one point, Scarlett kills a Yankee marauder A long succession of Confederate soldiers returning home stop at Tara to find food and rest including Cracker, Will Benteen, and Ashley Wilkes,. Life at Tara slowly begins to recover when a new threat appears in the form of new taxes on Tara.Scarlett knows only one man who has enough money to help her pay the taxes, Rhett Butler. She goes to Atlanta to find him only to learn Rhett is in jail. As she is leaving the jailhouse, Scarlett runs into Frank Kennedy, who is betrothed to Scarlett’s sister, Suellen, Frank marries Scarlett two weeks later Always wanting Scarlett to be happy and radiant, Frank gives her the money to pay the taxes on Tara.Scarlett goes over the accounts at Frank’s store and finds many of his friends owe him money. 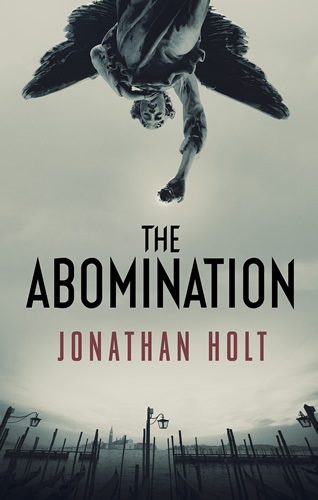 The Telegraph has partnered with WHSmith to highlight the best in popular fiction.This week’s choice is The Abomination by Jonathan Holt, newly released in paperback. The first in the Carnivia trilogy, The Abomination is a compulsive thriller with secrets that were never meant to be uncovered. Readers can claim the book for just £2.99 (RRP £7.99). Set in two Venices, the modern physical world and its virtual counterpart Carnivia, The Abomination by Jonathan Holt is a propulsive tale of murder, corruption, and international intrigue—the first book in an outstanding new trilogy in which Captain Katerina Tapo the youngest female officer of the Venice carabinieri having been assigned to her first murder case, finds a woman dressed in the sacred robes of a Catholic priest who has been strangled and submerged in the waters By the stunning white dome of one of Venice’s grandest landmarks with two slugs in the back of the head.